Not to be confused with Dongfeng Motor Group, the subsidiary. Not to be confused with Dongfeng Motor Co., Ltd., a joint venture. Dongfeng Motor Corporation is a Chinese state-owned automobile manufacturer headquartered in Wuhan, China. Traditionally one of the "Big Three" Chinese automakers, Dongfeng is currently in the top four in terms of output along with Chang'an Motors, FAW Group, and SAIC Motor. In addition to commercial and consumer vehicles, it also manufactures parts and cooperates with foreign companies, with joint ventures like Dongfeng Yulon, Dongfeng Yueda Kia, Dongfeng Honda, Dongfeng Motor Co., Ltd. (DFL), Dongfeng Peugeot-Citroën and Dongfeng Renault (except Dongfeng Yueda Kia, all were joint ventures of Dongfeng Motor Group). The company was the second-largest Chinese vehicle maker in 2014 by production volume manufacturing over 3.5 million whole vehicles that year. Commercial vehicle production that year was higher than all other domestic manufacturers at nearly 450,000. Dongfeng has one direct listed subsidiary: Dongfeng Motor Group (DFG); Dongfeng Automobile Co., Ltd. is a listed company owned by DFG's joint venture Dongfeng Motor Co., Ltd. (DFL). Some sources may refer to the company as Dong Feng, use an acronym like DFM, or use the name in conjunction with others when referring to a subsidiary, joint venture, or other associated enterprise. "Dongfeng Yueda Kia", for example. 3.5.1 Dongfeng Motor Co., Ltd. Known as Second Automobile Works (第二汽车制造厂) until 1992, Dongfeng, or "East Wind" in Chinese, was founded in 1969. Its origins lie in a dictate of Chairman Mao Zedong; as part of his "Third Front" strategy, its far inland location in Hubei Province was meant to protect it from foreign invasion. Traditionally manufacturing commercial vehicles, by 2001 these made up about 73% of Dongfeng's production. By 2012, that figure had reversed, and 73% of manufactures were passenger cars. However, the percentage of consumer offerings was likely lower as passenger car counts may include microvans, tiny commercial vehicles that are popular in China. Between 1978-1985 alongside the market-based Chinese economic reforms instituted by Deng Xiaoping, Dongfeng was transformed from a manufacturer of two heavy-duty trucks with fragmented operations and ownership into a single, centrally managed enterprise. This process included placing all Dongfeng operations—from part manufacture to vehicle assembly—under the control of a single business entity and the merger of six truck production bases as well as a number of other companies previously controlled by provincial governments. Post-1985, further reforms took place that allowed Dongfeng greater autonomy; the company was removed from the direct administrative control of the central government. By the mid-1980s, its assets had tripled from those initially given to it by the state in 1981, and management was desirous of even greater production capacity. But in 1995, the company was experiencing financial difficulties as was the case with many Chinese automobile manufacturers at this time. The situation was still dire in 1998 precipitating a 1999 restructuring of the company. This state owned enterprise has come into conflict with authority at both the national and provincial levels. Alongside First Automobile Works it saw the successful dismantling of the Automobile Corporation, a central government entity presumably tasked with preventing non-competitive business practices through dictating output volumes and curtailing purchasing as well as exasperation at the right of the State to make managerial appointments. The Chinese partner in many Sino-foreign joint venture companies, Dongfeng initiated most of these cooperative efforts with foreign firms in the early 2000s. But its first was established in 1992 with French PSA Group. Known as Dongfeng Citroën Automobile Company (DCAC), it was the forerunner to the current Dongfeng Peugeot-Citroën Automobile Limited (DPCA). By 2003, Dongfeng had established joint ventures with Kia Motors (Dongfeng Yueda Kia, 2002), Honda (Dongfeng Honda, 2003), and Nissan (Dongfeng Motor Co., Ltd., 2003). As of 2011, it had more Sino-foreign joint ventures than any other Chinese automaker, and the 2013 creation of a partnership with French Renault means it retains this title today. In 2004, intermediate holding company of the group, Dongfeng Motor Group, became a listed company in the Hong Kong Stock Exchange; Dongfeng Yueda Kia remained in the unlisted portion of the group. Dongfeng announced in November 2006 that they intend to sell their vehicles in Japan. In 2009, it sold 1.9 million vehicles ranking second among domestic automakers and third overall. At the 2010 Beijing Auto Show, Dongfeng displayed an electric vehicle concept car, a physical representation of its vow to bring an electric car to market by 2015. China subsidises oil, an incentive for the State to spur alternative energy vehicle development, and Chinese automakers see opportunities in less mature electric vehicles because Western companies have yet to develop much of a lead in the technology. In 2010, the company sold 2.72 million units, making it the second most-productive Chinese vehicle-maker. It reported 1.72 million sales of passenger vehicles that same year. 2011 production figures put the company in second place, in terms of production volume, in its home market; Dongfeng produced 3.06 million vehicles that year. It was the second-largest Chinese automaker in 2012 by production volume, and Dongfeng manufactured over 2.76 million whole vehicles that year with passenger cars comprising 73% of manufacture. The number of cars counted as passenger vehicles may conflate consumer offerings and tiny commercial trucks and vans known as microvans, however. Dongfeng established its first research and development facility outside of China in October 2012 when it acquired a 70 percent stake in the Swedish engineering company T Engineering AB. In December 2013, Dongfeng and the French automaker Renault agreed to form a 50:50 joint venture, Dongfeng Renault Automotive Co Ltd., to manufacture Renault brand passenger cars for the Chinese market. The two partners agreed to invest an initial 7.76 billion yuan (US$1.27 billion) in the venture, which became Dongfeng's sixth joint venture with a foreign automaker—the most of any Chinese automaker. In February 2014, loss making PSA Peugeot Citroën, a joint venture partner of Dongfeng since 1992, was recapitalized, with Dongfeng Motor Group taking a 14% stake. In 2017, it was announced that Dongfeng Motor Corporation would be re-incorporated as a limited company, renaming to 东风汽车集团有限公司, which only differ from its subsidiary Dongfeng Motor Group for the word 股份) (share). Dongfeng sells vehicles under various brand names. Other brands may be associated with products manufactured or assembled by joint-venture companies that see foreign firms cooperate with Dongfeng in order to gain access to the Chinese market. Dongfeng Venucia Motor Company is a subsidiary of Dongfeng Motor Co., Ltd. established in 2017 and focused on the marketing and production of passenger cars. The Venucia marque, launched in September 2010, was originally owned by Dongfeng Nissan Passenger Vehicle, itself another subsidiary of Dongfeng Motor Co., Ltd. Launched in 2013, Fengdu (风度) is a sub-brand of Dongfeng Automobile started by producing out of production Nissan CUVs bearing the Dongfeng logo . Older Nissan tooling was set up in China by Zhengzhou-Nissan to produce the second generation Nissan X-Trail rebadged as the Dongfeng Fengdu MX6. 2009 saw the release of an own-brand sedan, the Fengshen S30, built with support from PSA Peugeot Citroën and in the same factories that produce its Peugeot and Citroën-branded products for the Chinese market. The S30 may have been the first instance of Dongfeng selling private label passenger vehicles using its own "Dual Sparrows" logo in combination with its name. Own-brand Fengshen models include a hatchback as well, the Fengshen H30. Dongfeng Liuzhou Motor Co., Ltd. is a subsidiary of Dongfeng Motor Group, located in the city of Liuzhou, Guangxi, China. Passenger vehicles produced by Dongfeng Liuzhou Motor bears the Dongfeng Fengxing brand and most products are based on older platforms from Mitsubishi and Nissan. Dongfeng Skio is a sub-brand of Dongfeng that focuses on producing electric vehicles. The current lineup are mostly Dongfeng-petrol-car-based electric vehicles. Dongfeng is the Chinese partner in many joint ventures that make trucks and cars. Dongfeng established its joint venture with American parts-maker Dana Holding Corporation, Dongfeng Dana Axle Co, c. 2005. As of 2011, Dana and Dongfeng both have 50% ownership of this joint venture. Dongfeng DFSK (Sokon) or in Chinese Dongfeng Xiaokang (东风小康) is Sino-sino joint venture between Dongfeng and a local company, Chongqing Sokon Industry Group Co Ltd. Brands under the joint venture includes Dongfeng Sokon (DFSK, sometimes known as DF Dongfeng as the official website suggests) light commercial vehicles and Dongfeng Fengguang passenger vehicles. Sokon also has its own electric startup brand based in North America called SF Motors. In January 2013, Dongfeng and Volvo agreed to form a China-based medium- and heavy-duty truck manufacturing joint venture, Dongfeng Commercial Vehicles, with 55% ownership by Dongfeng Motor and 45% by Volvo. As part of the transaction, Volvo will pay 5.6 billion yuan (US$900 million) to Dongfeng, which will pay Nissan Motors to replace it with Volvo in an existing commercial vehicle joint venture. It's unclear if the vehicles produced will be sold under the Volvo brand as a smaller, pre-existing Volvo-Dongfeng joint venture markets and assembles products with a "UD" brand and the Dongfeng brand name is traditionally used on commercial vehicles. A Nissan joint venture engine production base in Shiyan, Hubei province, was producing diesel engines c. 2010, and it is possible this location was one asset of the former Nissan joint venture Dongfeng bought out as part of the Volvo deal. The company has the bland of Dongfeng Trucks. Based in Wuhan, Hubei province, Dongfeng Honda Automobile Company was established in 2003 and manufactures Honda-branded SUVs and automobiles for the Chinese market. Products produced by this joint venture with Honda include the Honda Civic, the CR-V, and the Spirior. As of early 2011, some offerings may incorporate Japanese-made parts. In 2010, its model line included what was China's best-selling SUV that year, the CR-V. Other Honda-branded models sold in China are made by Guangqi Honda Automobile, but a 2004 agreement allowed Dongfeng-built CR-Vs to be sold through Guangqi's showrooms. A China-only product line debuted in 2016 with the Gienia, a mid-size hatchback. Primary production may be at its two Wuhan, Hubei, production sites, one of which became operational c. 2012. Another plant produces engines for this joint venture in Guangzhou. Nissan and Dongfeng have a long-standing relationship. Early on, the Chinese company produced diesel-powered Nissan trucks built from complete knock-down kits, and Nissan lent Dongfeng technical assistance. When the Chinese State began allowing foreign automakers market access through joint ventures, Nissan chose Dongfeng. It remains the only Chinese partner of Nissan although each foreign automaker is allowed two. As an example of the extensive and comprehensive nature of Nissan's technical assistance to the Chinese company, in 2011 nearly 70% of products Dongfeng manufactured were connected in some way to Nissan. Main article: Dongfeng Motor Co., Ltd.
A Nissan Teana II made by Dongfeng Motor Co., Ltd. Established in 2002, Dongfeng Motor Co., Ltd (DFL) began operating in July 2003. Nissan holds 50% ownership in this maker of heavy trucks, light commercial vehicles, and passenger cars. Heavy-duty trucks and buses exclusively carry the Dongfeng brand name, light-duty trucks use both the Nissan and Dongfeng names, and consumer offerings are Nissan products. While the great majority of passenger cars retain the Nissan name, a small number sell under the brand name Venucia which is Dongfeng–Nissan's brand which offers cheaper products targeted at less-affluent inland city consumers. Venucia (Qi Chen) launched its first models in 2012. The name is derived from that of the Roman goddess of beauty, Venus. A few of its Dongfeng-branded light commercial vehicles have been exported to Afghanistan, Pakistan, Africa, and the Middle East. Infiniti-branded vehicles are most probably imported as of 2006, but 2013 news stories suggested that some production would be moved to China in the future. Manufacture of the brand in China may have begun with the Q50L being produced at a site in Xiangyang sometime after 2014. Other joint ventures include Dongfeng Nissan Passenger Vehicle Co, a unit of Dongfeng Motor Company that makes automobiles for the domestic market and has exported to Egypt. Another unit of Dongfeng Motor Co., Ltd., Zhengzhou Nissan Automobile Co, manufactures light commercial vehicles. Most Zhengzhou products are sold under the Dongfeng brand, such as the Dongfeng Rich (Rui Qi), a reworked Nissan D22. A passenger-car production base and technical center in Guangzhou, Guangdong, are part of both the Nissan joint venture Dongfeng Motor Co and a unit of that joint venture, Dongfeng Nissan Passenger Vehicle Co.
Another Guangzhou production base manufactures Nissan engines. As of 2009, a Nissan joint venture engine production base in Shiyan, Hubei province, produced diesel engines and other sites, auto parts. It is possible this location has been shuttered and the tooling moved as Dongfeng bought out Nissan's stake in a joint venture company, Dongfeng Nissan Diesel Motor Co Ltd, as part of a deal to initiate a new joint venture with Volvo. In the Huadu District of Guangzhou, a production base was under construction in late 2010. Planned to have a 240,000 units/year production capacity, these may be engines not vehicles. It could be the large-scale vehicle production base under construction in 2010 that would expand Dongfeng-Nissan local production capacity in this area to 600,000 units/year. A joint venture with Nissan has a production base, Zhengzhou Light Truck plant, in Zhengzhou, Henan. In 2010, this was joined by a second, increasing production capacity by 120,000 units/year. Production capacity figures may consider engines and vehicles as discrete. A handful of Nissan joint venture production bases are located in Xiangfan, Hubei, making light commercial vehicles and cars. Dong Feng Peugeot Citroën Automobile Company is a joint venture with PSA Peugeot-Citroën set up in 1992 and based in Wuhan, capital of Hubei province. Currently selling a range of Peugeot and Citroën models, its first offering was a hatchback built from semi-complete knock-down kits, the ZX Fukang. Its first Peugeot-branded product was introduced in 2004. Some of the engines made by this joint venture are used in other Dongfeng passenger car products, the Fengshen S30 and H30, for example. As of 2010, the PSA Peugeot Citroën joint venture had two production bases in Wuhan, and a third base for this joint venture was in the planning stages c. 2010. Xiangfan serves as location for a powertrain production base for the joint venture with PSA Peugeot Citroën as of 2010. An R&D center in Shanghai, the China Tech Center, is wholly owned by PSA Peugeot Citroën but lends assistance to the joint venture with this French automaker. Created in late 2013, Dongfeng Renault Automotive Co Ltd plans to produce 150,000 whole vehicles per year at an as-yet-unbuilt production base in China. This facility may become operational as early as 2016. A joint venture with the Korean Kia Motors, Dongfeng Yueda Kia Automobile Co is based in Yancheng, Jiangsu province, and produces Kia-branded automobiles for the Chinese market. As of 2007, it has two production bases–the newer located in the Yancheng Economic Development Zone of Jiangsu province. Kia may have initially partnered with Jiangsu Yueda Auto Works–not Dongfeng–in an effort that produced the Kia Pride c. 1997. Dongfeng soon stepped in, however, forming Yueda Kia Motors in 1999 and buying out Jiangsu Yueda's ownership in March 2002. Prior to this and as of 2007, Kia had a 50% share while Dongfeng and Jiangsu Yueda Investment Co Ltd (SSE: 600805) each held 25% ownership. In 2010, the Sportage was the 8th most-purchased SUV in China. The company was reported as having two production bases in China that year. As of 2017, Korean automakers in China continued to flog a product mix highly reliant on less-favored sedans and were seeing flagging sales amid rising political tensions between China and the Korea peninsula. An equally owned joint venture with Taiwanese automaker Yulon, Dongfeng Yulon (or Dongfeng Yulong), was set up in 2009 and will manufacture Yulon's Luxgen models in China. Reflecting its past foreign partner, Dongvo Truck Co was formerly named Dongfeng Nissan-Diesel Company. Currently, it is a joint venture between Volvo's UD Trucks and Dongfeng established in 1996. Its manufacturing site is located in Hangzhou producing UD branded commercial vehicles and buses. 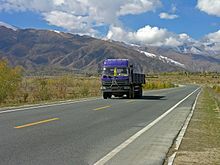 Volvo's first joint venture company with Dongfeng, Dongvo Truck Co was the precursor to a larger scale cooperation, Dongfeng Commercial Vehicles, but may continue to exist independently of this newer legal entity. Originating from Hubei province, Dongfeng now has sites throughout China. Its primary production base for passenger vehicle manufacture is in Wuhan, capital of Hubei province, with secondary sites in the city of Wenzhou, Zhejiang province. 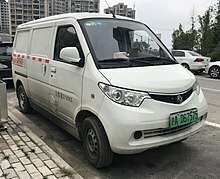 Some commercial vehicles are most likely made in the city of Shiyan, Hubei province, as it is the home to a Dongfeng commercial vehicle division. Dongfeng sells products overseas through various legal arrangements that see mostly light commercial vehicles sold under its own brand name in a variety of formats and specifications. Foreign countries where Dongfeng has or had a presence include: Pakistan, Indonesia, Malaysia, Myanmar, Paraguay, Philippines, Vietnam, and the United Kingdom, et al. Some Dongfeng heavy duty trucks are sold as military vehicles, and limited exports under the name Dongfeng Aeolus have been occurred. Dongfeng has, at times, exported military spec vehicles to conflict-ridden nations and places including 400 to Myanmar in 2005 and 200 into Darfur, Sudan, that same year. Dongfeng makes fewer military-use vehicles than some other Chinese automakers, but these reported exports may mean in 2005 it disproportionally contributed its manufactures to overseas area rife with unsavory actors. This precipitated the Government Pension Fund of Norway abstaining from investment in Dongfeng Motor Group for a seven-year period between 2007 and 2014. ^ "吉林副书记竺延风接管东风 东风徐平调任一汽". qq.com. Retrieved 2 May 2015. ^ "2016 Annual Report" (PDF). Dongfeng Motor Group. 27 April 2017. Retrieved 28 July 2017. ^ a b c d e f Zhang, Wenxian; Alon, Ilan (2010). A Guide to the Top 100 Companies in China. World Scientific. ISBN 978-981-4291-47-7. ^ 2014年11月汽车分车型前十家生产企业销量排名. China Association of Automobile Manufacturers. 12 December 2014. Retrieved 13 December 2014. ^ Fumio, Itoh, (1997). China in the Twenty-First Century; Politics, Economy, and Society. United Nations University Press. p. 126. ISBN 978-92-808-0946-6. ^ Shenzhen Securities Information CO. China Listed Companies Handbook. Javvin Technologies Inc. p. 118. ISBN 978-1-60267-021-1. ^ Ngo, Tak-Wing; Wu, Yongping (2008). Rent Seeking in China. Taylor & Francis. p. 176. ISBN 978-0-203-88396-9. ^ a b c "Nissan and Dongfeng to Establish the Most Comprehensive Partnership In Commercial and Passenger Vehicle Operations in China". nissan-global.com (Press release). September 19, 2002. ^ a b "2012年12月分车型前十家生产企业销量排名". China Association of Automobile Manufacturers (CAAM). 14 January 2013. Archived from the original on January 15, 2013. Retrieved January 15, 2013. ^ a b Fumio, Itoh, (1997). China in the Twenty-First Century; Politics, Economy, and Society. United Nations University Press. ISBN 978-92-808-0946-6. ^ a b Fumio, Itoh, (1997). China in the Twenty-First Century; Politics, Economy, and Society. United Nations University Press. p. 113. ISBN 978-92-808-0946-6. ^ a b Hannan, Kate (1998). Industrial Change in China Economic Restructuring and Conflicting Interests. Taylor & Francis. p. 23. ISBN 978-0-415-16246-3. ^ a b Hannan, Kate (1998). Industrial Change in China Economic Restructuring and Conflicting Interests. Taylor & Francis. ISBN 9780415162463. ^ Hannan, Kate (1998). Industrial Change in China Economic Restructuring and Conflicting Interests. Taylor & Francis. p. 96. ISBN 978-0-415-16246-3. ^ Thun, Eric (2006). Changing lanes in China foreign direct investment, local government, and auto sector development (illustrated ed.). Cambridge University Press. pp. 174–175. ISBN 978-0-521-84382-9. ^ "Dongfeng Motor: Company Profile". ChinaAutoWeb.com. ^ 2011年前十家乘用车生产企业销量排名. China Association of Automobile Manufacturers (CAAM). 2012-01-20. Archived from the original on 2012-08-20. ^ "Dongfeng Motor establishes overseas R&D center". China Daily. 17 October 2012. Retrieved 27 January 2013. ^ "China in $1.3bn Renault-Dongfeng auto joint venture". BBC News. 5 December 2013. Retrieved 6 March 2014. ^ a b Frost, Lawrence; Kwok, Donny (Dec 5, 2013). "China approves Renault's $1.3 billion Dongfeng venture". reuters.com. Thomson Reuters. Retrieved 8 December 2013. ^ "Peugeot signs Dongfeng deal, recovery hurdles remain". Reuters. 26 March 2014. Retrieved 1 December 2014. ^ 东风汽车公司更名为东风汽车集团有限公司. People's Daily (in Chinese). Xinhua News Agency. 6 December 2017. Retrieved 12 May 2018. ^ "Dongfeng Passenger Vehicle". Dongfeng Motor Corporation. Retrieved 6 March 2014. ^ "Dongfeng Venucia Motor Company established to elevate the development". DFL. 7 February 2017. Retrieved 26 February 2018. ^ "东风启辰汽车公司成立 启辰品牌脱离东风日产独立" [Dongfeng Venucia Motor Company sets up the Venucia marque as a company independent of Dongfeng Nissan]. auto.people.com.cn (in Chinese). People's Daily - Auto Channel. 7 February 2017. Retrieved 26 February 2018. ^ Li, Fusheng (8 February 2017). "Venucia revs up as independent firm". China Daily. Retrieved 3 March 2018. ^ "SOCIAL RESPONSIBILITY REPORT OF NISSAN'S SUBSIDIARIES IN CHINA (2015)" (PDF). nissan.com.cn. Chaoyang District, Beijing: Communications Management Division, Nissan (China) Investment Co Ltd. 2015. p. 05. ^ "Spy Shots: Dongfeng MX6 is an old Nissan X-Trail". ^ a b c "PSA Peugeot Citroën in China (a PSA Press Kit)". groupe-psa.com. PSA Peugeot Citroën. April 2015. ^ "Enterprise Overview". 121.40.230.215. Dongfeng Liuzhou Motor Co Ltd.
^ Hong Kong newsroom (10 March 2017). "BRIEF-Chongqing Sokon's sales of vehicles, engines up in Feb". reuters.com. Thomson Reuters. ^ a b c d "Volvo to be biggest in heavy trucks with Dongfeng JV". Reuters. 26 January 2013. Retrieved 27 January 2013. ^ a b c "Company Profile". dongvo.com. Dongvo Truck. 2014. ^ Dongfeng Honda's new CR-V goes on sale in Guangzhou. China Business News. Shanghai: Mar 15, 2010. ^ "AUTOSHOW-Honda: China output to be affected by Japan parts shortage". Reuters. 18 April 2011. Retrieved 4 January 2012. ^ a b China Briefing Media (2004). China Briefing's Business Guide to the Greater Pearl River Delta. China Briefing Media, Ltd. ISBN 978-988-98673-1-7. ^ De Feijter, Tycho (5 September 2016). "Honda Gienia Debuts At The Chengdu Auto Show In China". forbes.com. Forbes. ^ Hannan, Kate (1998). Industrial Change in China Economic Restructuring and Conflicting Interests. Taylor & Francis. p. 90. ISBN 978-0-415-16246-3. ^ "Financial Information as of March 31, 2006" (PDF). nissan-global.com. 2005. p. 4. ^ a b c Ghosn, Carlos (2007). Shift Inside Nissan's Historic Revival. Random House. pp. 202, 206. ISBN 9780307423818. ^ a b "04-07 Mid-term Plan Presentation" (PDF). nissan-global.com. Nissan. June 16, 2008. ^ "AUTOSHOW-China joint venture brands eye growth in inland cities". reuters.com. December 20, 2010. ^ a b "Dongfeng Nissan Launches VENUCIA R50 in China". nissan-global.com. Nissan Motor Company. July 27, 2012. Retrieved 6 October 2013. ^ "China". Nissan Annual Report, 2006-07 (PDF). Nissan; nissan-global.com. ^ "Nissan And Dongfeng To Set Up China Auto Finance Company". nissan-global.com (Press release). Nissan Motor Company. August 30, 2006. ^ "Interview: China key to our globalization strategy: Infiniti global chief". xinhuanet.com. Xinhua. 2013-09-14. Retrieved 6 October 2013. ^ "Dongfeng Rich Pickup Truck from Zhengzhou Nissan". ChinaAutoWeb. 2010-12-13. ^ 憨厚新浪汽车试驾郑州日产锐骐皮卡汽油版 [An Honest Test Drive of the Zhengzhou Nissan Rui Qi (Rich) Pickup Petrol] (in Chinese). Zhengzhou Nissan Automobile Co. 2009-10-31. Retrieved 2010-11-12. ^ a b "Dongfeng Motor Company Passenger Vehicle's Guangzhou Huadu Plant Goes Into Operation". nissan-global.com (Press release). Nissan Motor Company. May 18, 2004. ^ "Dongfeng Motor Completes New Dongfeng Nissan Technical Center". nissan-global.com (Press release). Nissan Motor Company. March 20, 2006. ^ "Dongfeng Motor Co., Ltd. Announces the Expansion of Huadu Plant in Guangzhou". nissan-global.com (Press release). Nissan Motor Company. July 29, 2009. ^ "Dongfeng Motor Company To Build New Engine Plant In Huadu". nissan-global.com (Press release). Nissan Motor Company. December 21, 2004. ^ "Newly-Completed Dongfeng Nissan Engine Plant to Produce All-new HR and MR Engines". nissan-global.com. Nissan Motor Company. February 28, 2006. ^ a b c Gu, Jenny (October 25, 2010). "Ready consumer cash fueling robust sales". chinadaily.com.cn. Retrieved April 13, 2017. ^ "China in $1.3bn Renault-Dongfeng auto joint venture". bbc.com. BBC. 5 December 2013. Retrieved 8 December 2013. ^ a b Dongfeng Yueda Kia Says 2nd Factory to Start Production Soon. SinoCast China Business Daily News. London (UK): Aug 6, 2007. ^ World of Cars 2006·2007. Warsaw, Poland: Media Connection Sp. z o.o. 2006. pp. 230–231. ^ Jin, Hyunwoo (27 March 2017). "Hyundai suspends China plant for a week amid diplomatic stand-off". reuters.com. Thomson Reuters. ^ "Company Profile". Dongvo(Hangzhou) Truck Company. Retrieved 25 February 2015. ^ "Dong Feng Eyes Vehicle Assembly". Manila Bulletin. April 29, 2013. Archived from the original on June 19, 2018. Retrieved October 15, 2016. ^ "About DFSK". DSFK. Retrieved 2013-06-11. ^ Hussain, Dilawar (1 June 2015). "A promising business venture". Dawn. Retrieved 19 June 2018. ^ Khan, Amir Shafaat (1 March 2018). "RAIL sets up auto assembly plant in Lahore". DAWN. Retrieved 19 June 2018. ^ Kor, Justin (1 April 2016). "Tide rises on recreational boating". shanghaidaily.com. Shanghai Daily. Retrieved 12 April 2016. The country was one of the ports of call to the annual Volvo Ocean Race for three editions of the competition. At the most recent edition of the tournament in 2015, the Dongfeng Race Team, which was composed of both foreign and Chinese sailors, finished third overall. It was the first time that Chinese sailors had participated in the prestigious event. ^ "Scoreboard - Volvo Ocean Race 2017-18". Volvo Ocean Race. Retrieved 5 September 2018. ^ "CHINA: SUSTAINING CONFLICT AND HUMAN RIGHTS ABUSES: THE FLOW OF ARMS CONTINUES". www.amnesty.org. 10 June 2006. Retrieved 2017-02-26. ^ "Norway bars its pension fund from investing in Dongfeng Motor, due to sale of military trucks to Burma | Business & Human Rights Resource Centre". business-humanrights.org. Retrieved 2017-02-26. ^ "Decision to include Dongfeng Motor Group Co. Ltd" (PDF). 1 June 2015. ^ Finansdepartementet (2014-12-11). "Beslutninger om avsluttet observasjon og gjeninkludering av selskap i SPU" (in Norwegian). Regjeringen.no. Retrieved 2017-02-26. This page was last edited on 7 April 2019, at 06:16 (UTC).